Liguria is one of the most beautiful areas of Italy. The climate is perfect for growing flowers, so every town is literally strewn with colorful flower beds. Local towns are decorated with exotic ornamental plants, so each locality resembles a huge fragrant garden. However, tourists are attracted not only with the awesome nature of these places, but also with many monuments and magnificent beaches of the Italian Riviera. The beach area is conditionally divided on two zones: Eastern is called Riviera di Ponente and the Western is Riviera di Levante. The most popular beach resort is San Remo bearing a proud title of the capital of floriculture. The resort is an annual venue for the Festival of the Italian song. In the 19th century, there were built great concert halls, luxury hotels and casinos, as well as restaurants and clubs. In addition to various entertainment options, there are a lot of museums and art galleries in the modern city. Among the most visited cultural institutions, the Museo Civico and Rambaldi art gallery are notable. The ruins of Santuario Madonna della Costa represent one of the local architectural monuments; another object of interest is Villa Alfred Nobel currently converted into a museum. Those who want to enjoy the peace and privacy are recommended to go to the resort of Santa Margherita Ligure offering guests great beaches and a rich excursion program. Liguria is an ideal holiday destination for travelers with children, as well as for fans of gambling and nightlife. The Ligurian Coast is very popular with those who can’t imagine their recreation without beach entertainments. This resort region attracts with a mild climate, a well-developed tourist infrastructure, and a variety of beaches. Very beautiful and well-equipped sandy beaches are located in Imperia and Savona. They are very popular with travelers with children. Those who prefer pebble beaches should visit Genoa and La Spezia. 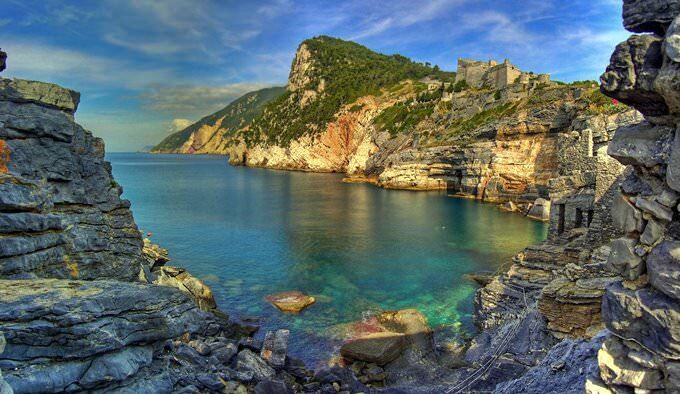 Besides well-equipped beaches, the region of Riviera di Ponente is famous for a variety of natural beauties. Here, you can combine your relaxation with hiking tours. You can find some of the most peaceful and uncrowded beach resorts in the district of Riviera di Levante. Many local resorts were only small fishermen’s villages several decades ago. Foreign guests have recently started to visit them. Today, you can visit here one of the most prestigious resorts in the country that is visited by famous film stars and millionaires, Portofino. In Liguria, there are 8 unique national parks, some of which are included in the list of UNESCO World Heritage Sites. The most famous one is the Cinque Terre Park. In it, there are several beautiful old villages and picturesque resorts. The main entertainment for tourists here is hiking tours, during which they can admire natural beauties and learn more about the natives’ way of living. There are a lot of pebble beaches at local resorts. Most of the coastal plots are open for visitors. During the year, a lot of interesting holidays and festivals are held in Liguria. The traditional Flower Parade is annually held in Sanremo. The main attribute of this festival is the parade, during which you can see platforms with exposures and sculptures of fresh flowers in city streets. In the context of the festival, a lot of interesting competitions, performances and food entertainments are held. The charming village of Riva Trigoso is a place where the food festivals are regularly held. It is dedicated to the national dish called Sagra del Bagnum. The guests of this festival have an opportunity to taste the most popular national specialties cooked not only by professional cooks, but also by amateurs. The main attribute of the festival is the tasting of regional wines. This guide to iconic landmarks and sights of Liguria is protected by the copyright law. You can re-publish this content with mandatory attribution: direct and active hyperlink to www.orangesmile.com. Check on the map: Distance from Liguria center - 43.3 km. 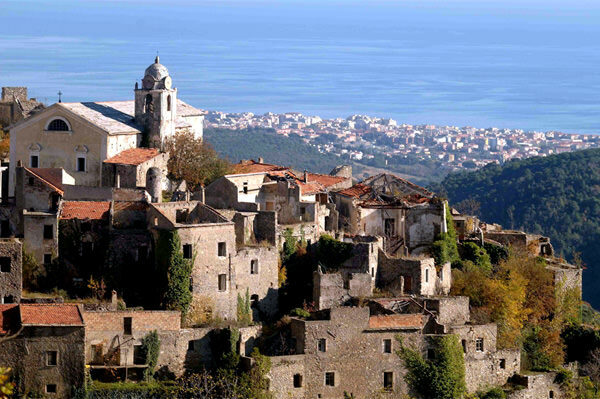 All about Liguria, Italy - sightseeings, attractions, touristic spots, architecture, history, culture and cuisine. Prepare your trip together with OrangeSmile.com - find out the 'must see' things in Liguria, which places to visit, which excursions to take, where the breathtaking views are waiting for you. Planning your trip with this travel guide will help your to get the most out of Liguria in few days.